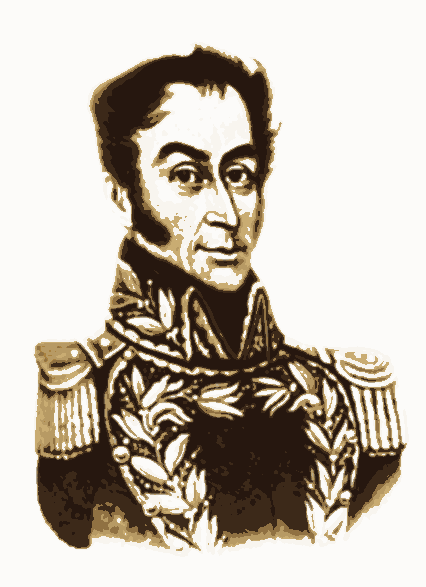 His full name is Simón José Antonio de la Santísima Trinidad Bolívar y Palacios Ponte y Blanco, and his legacy is equally voluminous. Born on July 24, 1783, he was serendipitously raised in an age of revolutions, and was one of the key leaders in the struggle for independence from Spain which would spread throughout Latin America. On June 15th, 1813 he dictated his “Decree of War to the Death,” and the rest is history. He would go on to lead Colombia, Venezuela, Ecuador, and Bolivia to independence from Spain. During his career, he was Dictator of Peru, President of Colombia, and the entire country of Bolivia was named in his honor. In 1974 his sword was stolen by the militant group m-19 from a museum in Bogota, Colombia. Current mayor of Bogota, Gustavo Petro, was involved with the group during the time. They were also responsible for the kidnapping of the leader of the conservative party in Colombia in 1988, and the death of Nicolás Escobar Soto who was the CEO of Texas Petroleum in Colombia. In 1991, the group disbanded, and returned the sword to officials in Bogota. Unfortunately, the story does not end there. Since being returned, the sword was apparently placed under lax security, and according to rumors, it has apparently changed hands several times. Most notably, the sword was claimed to have been passed to Fidel Castro; however, in early 2010, the Marxist–Leninist revolutionary guerrilla organization known as “FARC” claimed ownership of the sword. Hugo Chavez has been known to brandish a copy of the sword. Nonetheless, this scandalous claim has not been substantiated, and the current location of the sword remains unknown.